This adage certainly rings true after reading the last stanza of Place. In fact, it is readily apparent after reading just a few pages of Place that there is a compelling reason why one of her previous books won the Pulitzer Prize. Author Graham breaks all the traditional rules, diamond cuts and facets them to develop an entirely unique structure of her own. For those readers who prefer rhyme and sonnets of old, Place would probably not suit your fancy. The work is very contemporary but contains a concomitant literary bent as well that is the perfect match. But readers who enjoy the cutting edge in style and format will be totally engrossed in Ms. Graham’s work. The art and skill of poetic style can be taught by reading the great poets. This can be learned, but personal style must be developed and usually evolves over time. But no one can teach this intangible quality. It is the emotive quality of the writer that demonstrates a cultivated style that is one of the most unique this reader has encountered. There is nothing about Place that is flashy or bellows loudly to gain attention. In fact the packaging is reminiscent of a screenplay or a thesis. The black print against the stark white contains the perfect symmetry with the emotions that are aroused including despair, anger, sadness, and loneliness. There is also an exaltation of nature and the cycles of life that require the reader to wax philosophical. One’s intellect will definitely be challenged while trying to decipher the hidden gems within the poems. But that is the point of great poetry, is it not? Ms. Graham demonstrates an engrossing command of the English language. Like a delicate strand of pearls that are woven together, each poetic phrase and metaphor is linked to the next. The end result is that the strand is connected together in an ornate clasp that completes the look and feel of a rare piece. Many of the stanzas in Place contain a unique style of starting a phrase or sentence from the left margin while completing the thoughts via the center of the page. Though this is obviously purposeful by the author, occasionally this style is difficult to follow; however, her thoughts are not random nor disconnected—which lessens the confusion. Many of the poems in Place are deeply contemplative and philosophical. At times the thought and focus required to fully understand them could be just within one’s grasp only to float away. Even at those times, the emotions that emanate from them are quite clear and powerful. 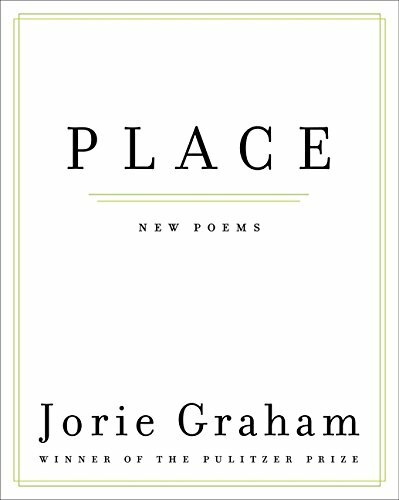 Poetry lovers, philosophers, and readers who enjoy literary masterpieces will be impressed with Place. Laura Schultz is a freelance writer and has been a licensed Marriage and Family Therapist for over 25 years. She has published articles on eating disorders, depression attaining joy, as well as health related topics such as allergies and vegan living.